The "engaged shareholder" raised its stake to 8.05% ahead of last night's special general meeting of the gaming and quick-service restaurant group. The gloves were off ahead of Grand Parade Investments special general meeting last night. The meeting was adjourned from 31 October when several shareholders said they didn't have enough information around the reasons for the meeting. Ahead of the meeting, the group responded to calls for changes to the board of directors and concern over losses at the gaming and quick-service restaurant group, which have resulted in a sharp decline in its share price over the past few years. It also announced that Value Capital Partners (VCP) had built a stake of 8.05% in the group. It wasn't clear though whether VCP, which describes itself as an "engaged shareholder", would join other investors demanding change following its investments in Burger King, Dunkin' Donuts and Baskin-Robbins, which have weighed on profitability. Shareholders including Kagiso Asset Management and Denker Capital, amongst others, claim the directors have been in place too long to be considered independent and have little experience in the food sector and have proposed they be replaced with more suitable candidates. VCP is seen as a turnaround specialist and has taken sizeable stakes in companies including Adcorp, PPC, Sun International, Novus and African Phoenix as a precursor to turning them around. It takes board positions and its entrance often results in changes to management. Financial Mail reported last week that Iqbal Survé's Sekunjalo Investments had also taken a stake in the group due to the big discount it trades at relative to its sum-of-the-parts value of more than R7 per share. Grand Parade said it was concerning that those calling for the company's non-executive directors to be replaced represented only 12% of the shareholding of the company. It said the directors who the "Proposers" wanted removed from the board had played a pivotal role in the group's strategy, which has seen it diversifying into the food and manufacturing sectors to reduce its dependence on the gaming industry. Although the concerned directions hadn't been operationally involved in the quick service restaurant sector, it said they had "the broad range of skills required to drive the overall strategy of the business". It is noted that not all the proposers' nominees have skills or experience within the QSR industry, and that none have experience in the gaming industry," Grand Parade said. The group cut its dividend for the year to end-June by 54% after headline earnings per share tumbled by 144% to a loss of 11.18c due to losses at the food businesses. However, it said that the investment and roll-out of Burger King in SA was always a long-term strategy, with profitability only predicted six years after its launch. 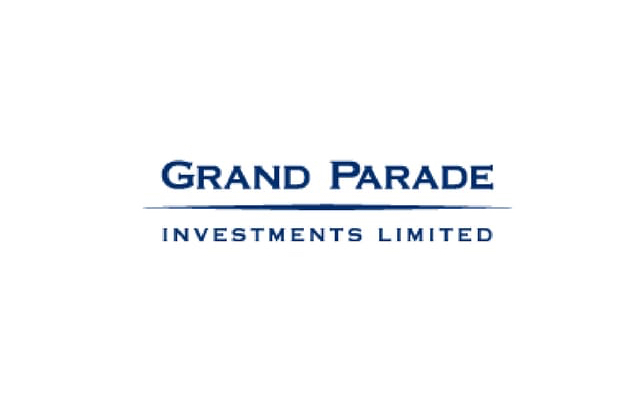 Grand Parade said it was not an asset management company seeking short-term arbitrage but rather an investment company with the ethos of creating long-term shareholder value. Shareholder activism must be welcomed, but change does not always achieve the desired results and there are many examples where it has spurned growth and led to a destruction in value," Grand Parade said. "Management is concerned that the proposed reconstitution of the board will be negative for the Company and the implementation of the current strategy of the company, which Management is confident will continue to create value for shareholders." Small caps analyst Anthony Clark tweeted from the meeting that one non-executive director was voted out, while three others held onto their board seats by a small majority. He said activist shareholders were successful in getting ex-Spur Group financial director Ronel van Dijk appointed to the board. Grand Parade's shares ended traded 1.6% up at R3.05. GPL: Shots fired..."GPI is not an asset management company that seeks short term arbitrage but rather an investment company with the ethos of creating long term shareholder value."